together we can solve hunger. 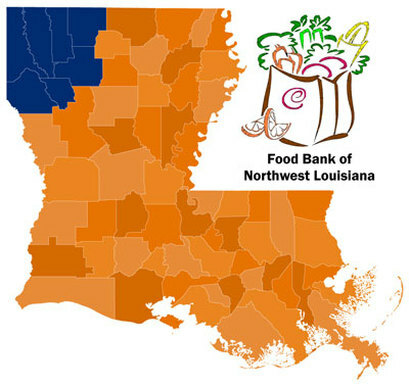 ​T​he mission of the Food Bank of Northwest Louisiana is to serve as the primary resource for fighting hunger in Northwest Louisiana. 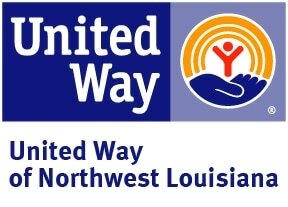 Our vision is to ultimately end hunger in Northwest Louisiana by ensuring consolidated network of effective food collection and distribution which will provide universal access to food for the needy in our communities. Use Your Social Media Powers For Good! Sign up to be a member of the Food Bank’s Hunger Hero Social Ambassadors Program. Click Here to learn more about the program. We are reaching more people in need than ever before, but we need continued support. Volunteers are vital to the success of our mission of ending hunger in northwest Louisiana. Opportunity is waiting. Click here for a list of all our volunteer opportunities. For every $1 the Food Bank receives, we are able to distribute $10 in food value. Your gift will help the Food Bank distribute all of the healthy food you see to the right to those that need it. The Food Bank of Northwest Louisiana does not sell, trade, or share the names of those who have so generously given to support our work to end hunger. Please donate today! Check out our Virtual Food Drive! Just click on the logo below or the First Presbyterian logo to get started. Thank you to First Presbyterian Shreveport for hosting a virtual Food Drive. We appreciate your partnership in our fight to end hunger in Northwest Louisiana. Click the First Presbyterian logo to get started. Or click here to shop! We have made donating to the Food Bank easy. No time to shop--you can shop in our virtual grocery store. Holding a Food Drive? The Virtual Food Drive lets you or your group help to end hunger in Northwest Louisiana in an easy, immediate and highly effective way. Click the link below to get started! Remember the Food Bank can multiply your donation with its buying power. Your money will go much further! FOOD BANK FACTS: As a hunger-relief organization, the Food Bank of Northwest Louisiana acquires, solicits, stores, and distributes food and other essential items to low income children and families through a functional network of 150 community and faith-based nonprofit organizations across Caddo, Bossier, Webster, Claiborne, Bienville, Red River and DeSoto parishes. These non-profit organizations consist of homeless shelters, church food pantry programs, soup kitchens, residential centers, and schools. We save these organizations millions of dollars each year by providing free and low cost food and products.